I am currently working with a customer on their Exchange 2016 design, implementation and disaster recovery process. While writing a new Exchange 2016 disaster recovery document I ran into this issue in my lab environment while running “Setup.exe /Mode:RecoverServer /IAcceptExchangeServerLicenseTerms”. For search engine options this is a part of the actual error message. ” was run: “System.InvalidOperationException: The internal transport certificate for the local server was damaged or missing in Active Directory. The problem has been fixed. 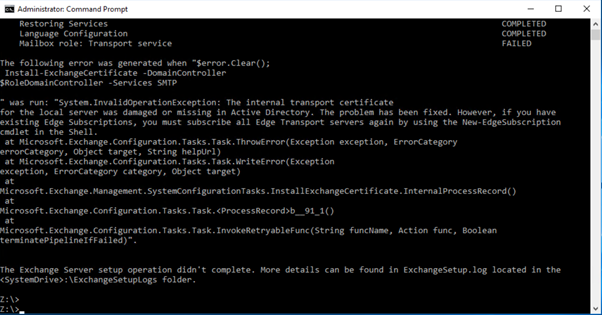 However, if you have existing Edge Subscriptions, you must subscribe all Edge Transport servers again by using the New-EdgeSubscription cmdlet in the Shell. The solution looks simple since it says “the problem has been fixed”. However, running the setup application again results in the next error message. 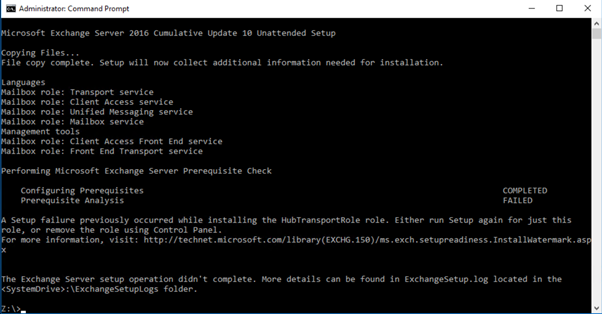 A Setup failure previously occurred while installing the HubTransportRole role. Either run Setup again for just this role, or remove the role using Control Panel. To remove the watermark, start the registry editor on the Exchange 2016 server and go to HKLM\Software\Microsoft\ExchangeServer\v15\HubTransportRole and delete the Watermark and Action entries. Rerunning the setup application unfortunately results in the 1st error, despite the “the problem has been fixed” and the removal of the watermark entries. It turns out that I have two Edge Transport servers in my environment, with an Edge Subscription. This Edge subscription is using the self-signed certificate for encryption purposes, and since this self-signed certificate on the new Exchange 2016 server differs from the original (before the crash) self-signed certificate the encryption possibilities fail. 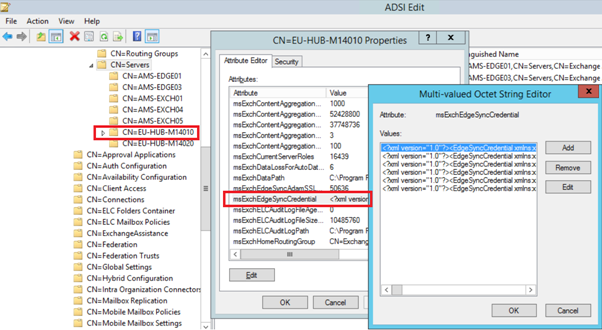 To resolve this, using ADSI Edit to find the msExchEdgeSyncCredential on the Exchange 2016 server you are recovering, and delete all credential entries. 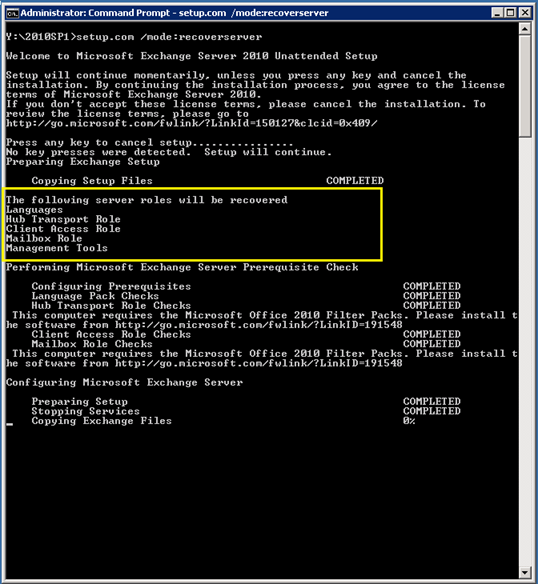 When running the Setup application with the /RecoverServer option again (for the third time ) it will succeed and successfully recover the Exchange 2016 server. Recently I ran into an issue with a customer where one mailbox server in a DAG was accidentally deleted. According to Microsoft it is more or less easy to recover an Exchange server since all configuration data is stored in Active Directory. While this is true it was not that easy as I expected since the DAG (and therefore the cluster service) come into play…. 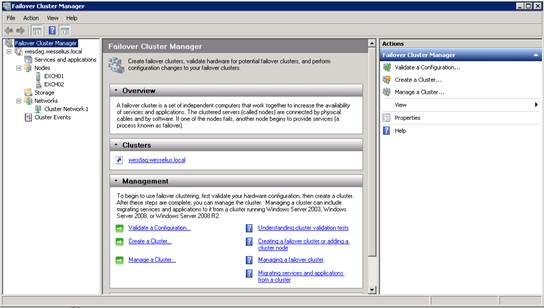 Also when opening the Failover Cluster Management snap-in you’ll see that there are some leftovers from the old DAG member. Right click the old DAG member (i.e. EXCH02) and select “Evict”. The server is now really completely removed from the cluster (=DAG).